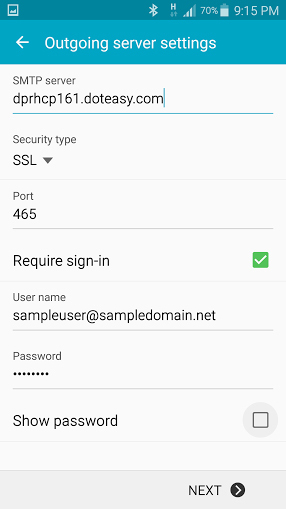 If you have a mobile phone that works with the Android OS, you can use the default mail application to access your domain email account(s). 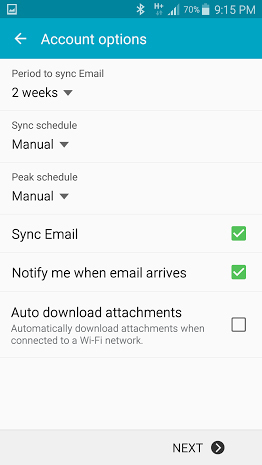 The default mail application is called Email or Mail, depending on the Android release. 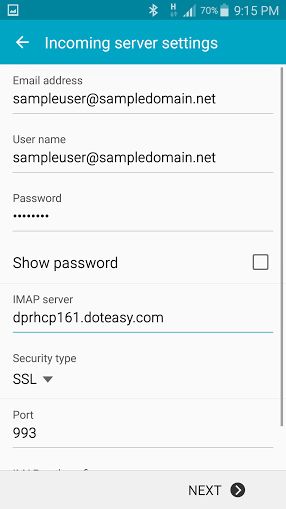 In this article, we will show you how to set up your Android mobile device with your domain email accounts using the IMAP protocol. Chances are, your Android mobile device is not the only email-capable device you own. Many people use their mobile phones to access emails when they are not around a laptop or computer. If you are using your Android mobile device as well as other devices to check and manage your domain emails, IMAP is the preferred protocol. IMAP lets you manage your domain email inbox from different locations, using different devices. In other words, with IMAP, you can log in from home, work, mobile phone or desktop and see the exact same view of your email inbox. If this is the first time you’ve set up the Email app, you will be asked if you want to open the mail application with an existing email account that you’ve already added to your device, or add a new email account to your device. 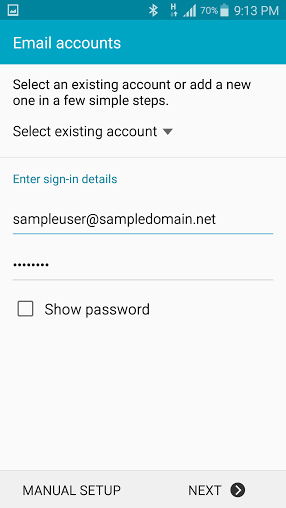 Since we are adding your domain email account to your phone, enter your domain email address in the Email address field. Enter the domain email password in the Password field. On the next screen, you will be asked what type of account you want to add. 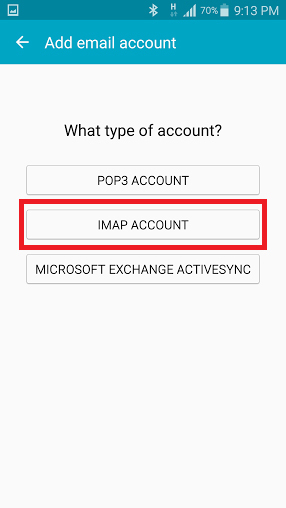 Tap IMAP ACCOUNT. On the Accounts Options screen, you can select your preferred account options, including sync schedule, new email notification and more. When ready, tap Next to complete the setup process. 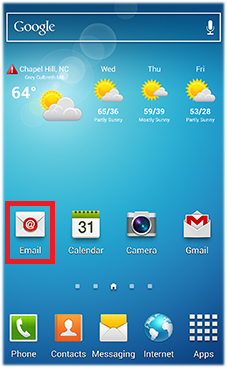 Your Android device is now configured to access your Doteasy domain email account using the default Mail app. This completes the Android Mail configuration process. 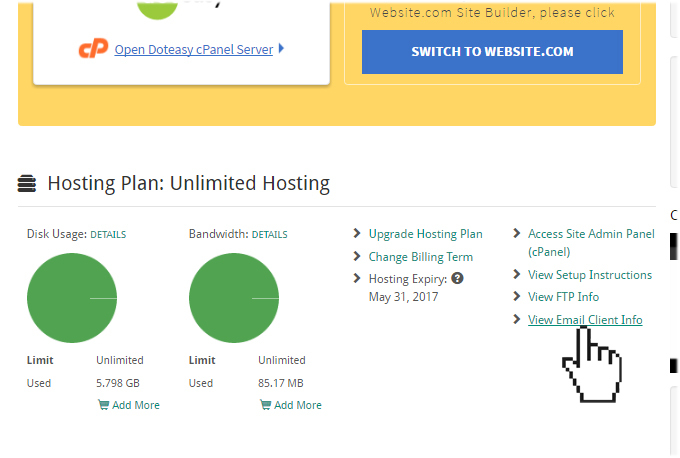 If you have any questions about this article or our video tutorial, or if you should run into any problems, please do not hesitate to contact us. You can reach us by email, phone and live chat. We also offer a call back service.